Anyone who follows my instagram feed will know I have fallen in love with loom bands, and more specifically making characters out of loom bands. I find it so relaxing and its a nice quiet activity that I can enjoy whilst waiting for the tiny 3 to fall asleep at night. The only frustrating thing I find is when I’m half way through a character and a band or 2 snap or even worse as I am pulling it off the board. 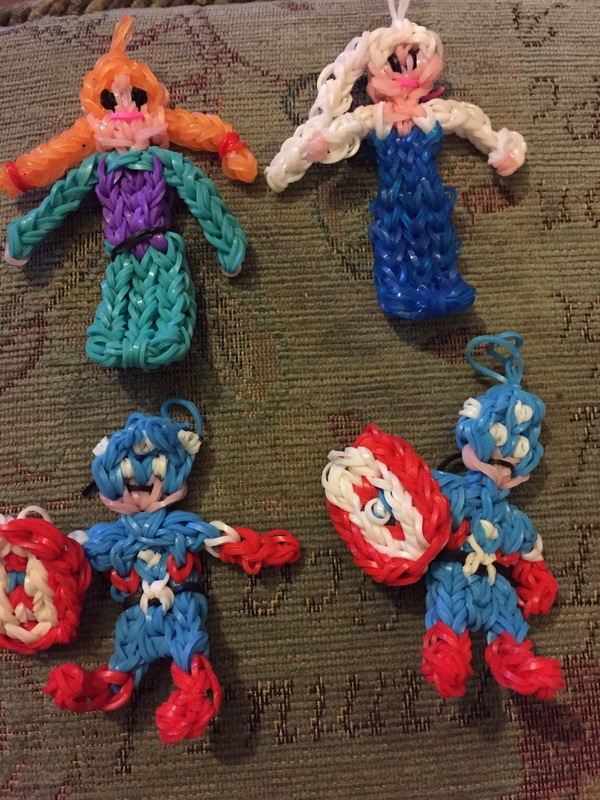 When I was asked to review a Rainbow Braid 5400 Piece Refill Kit I knew exactly how to test them out and that was by making a Queen Elsa, Princess Ana and Captain America, I am also planning on making an Olaf the Snowman too. I am pleased to report that I have had no broken bands at all which has really impressed me. 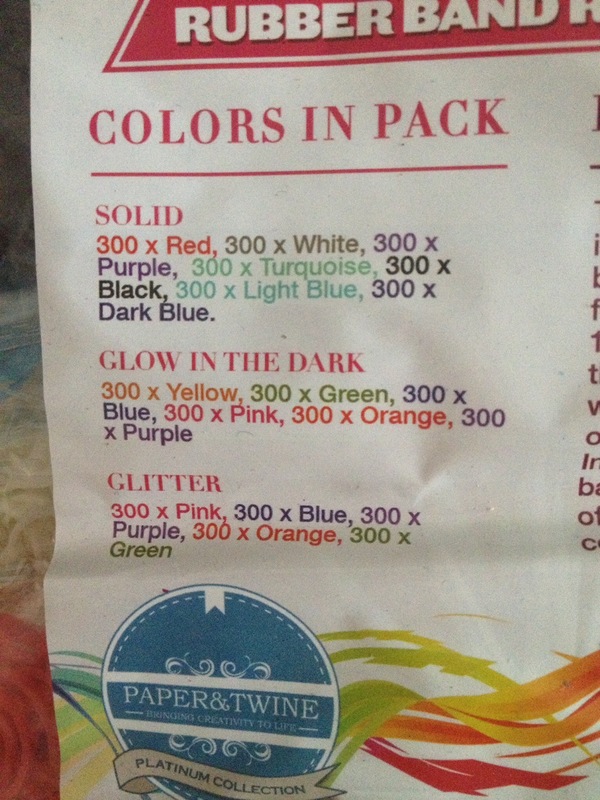 A brilliant array of colours that could make so many characters or bracelets, I would really recommend this refill pack for any loomer out there young or old. Disclosure: I was sent these loom bands for the purposes of this review, all thoughts, words and photographs are my own. To make the characters I follow tutorials on you tube. 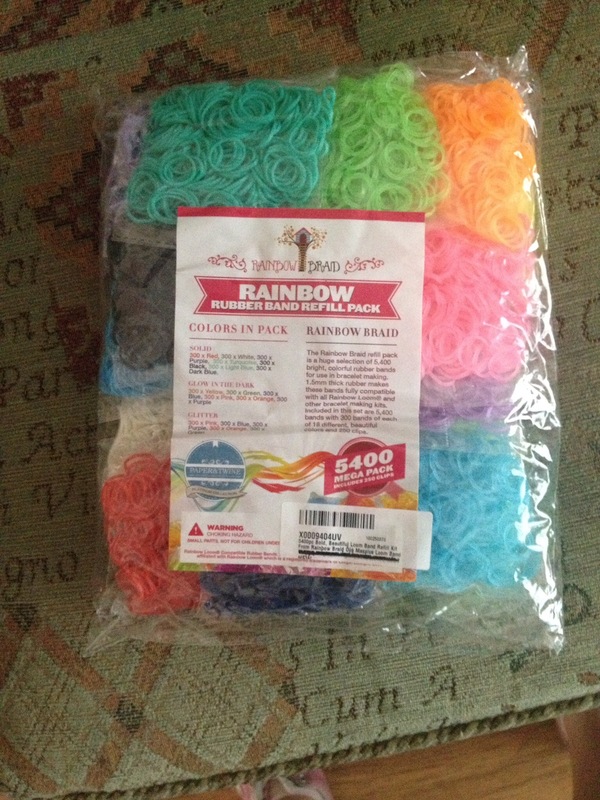 This entry was posted in My Stuff, Review and tagged loom bands.